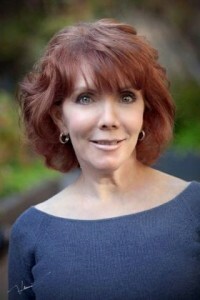 About Linda McCarthy | Linda M. McCarthy, Ph.D.
Linda McCarthy has studied “Mind-Body” medicine for over 20 years, with a particular interest in the field of Metaphysics and Psychology. Her pursuit began while observing the significant changes in the health and lives of individuals as it related to their thoughts, beliefs, and emotions. Personally witnessing the physical consequences of stress on a friend, Linda began to focus her attention on the biology of beliefs, and the critical role that perception plays in ALL aspects of our life. Her research at the University of Arizona, and University of Sedona included the exploration of cellular biology, and the effect that beliefs have on physiology. She focuses on teaching clients the harmful effects of stress and negativity on the body. It is well documented that stress has the ability to accelerate the aging process by as much as 7 years! She is continuing her education at Stanford University, Arizona’s Center for Integrative Medicine, as well as Clinical Neurology at the University of CA. San Francisco. Linda is also certified in Spirituality and Grief, Health and the Human Spirit, and The Study of the Human Energy Field. As a Metaphysician, Board Certified Life Strategist Coach and member of the Mind Body Advisory Board for the Institute of Spirituality and Healthcare-Princeton N. J., Linda will provide tools to assist you in understanding how to disconnect those internal negative thought patterns that no longer serve you. Breaking this cycle, allows you the freedom to focus on what truly matters in your life. Linda works on an individual basis with each client to ensure that they receive confidential and personal attention.